Home Biblical Christian Articles End-time Prophecy Warning! Rome Never Changes! The Roman Catholic Church maintains that she is the only true, legitimate Christian church in existence. She claims to receive her authority through the right of apostolic succession, passed down from pope to pope tracing back to the apostle, Peter, and therefore, maintains that she never errs. This is an extremely important point to understand. It certainly is not a denouncement of the multitudes who have been taught to accept the Catholic Church’s decrees as truth. Rather all should take heed because all organized religions have, to a greater or lesser degree, adopted many of the same stances as the Church of Rome in the exercise of its power. 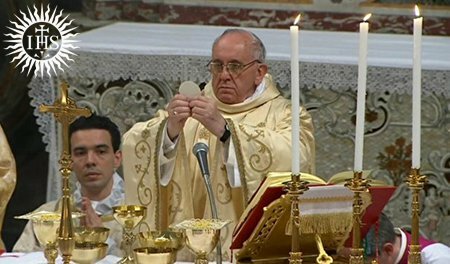 This has a bearing on everyone on earth because, as WLC believes that Francis is the eighth and final pope of prophecy, everyone living on the face of the earth shall soon feel the heat of the dragon’s breath in this revived Roman power. Because the Church of Rome truly never changes, in order to understand Pope Francis, his motives, his agenda as pope and his pontificate, it is necessary only to review those policies of past popes and how they handled all who disagreed with them, be they king or commoner. The Church of Rome has always and ever lusted for power, both political and spiritual. possessor of the “keys of Peter”. Gregory VII’s Dictatus Papae are still in effect to this day. Every true believer in Yahuwah should be aware of these because not only do they represent the beliefs of Pope Francis, but the various denominations within organized religion have, to a greater or lesser degree, adopted similar positions in dealing with those of their members who, in searching Scripture and finding greater light, seek to accept and live by that light. 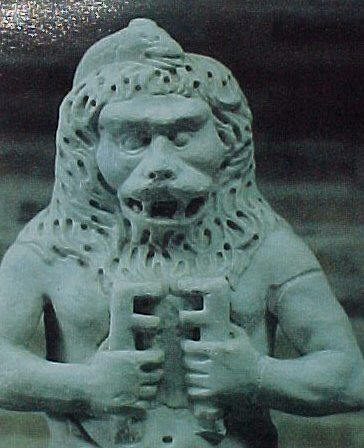 Lion-headed image holding the keys, representing power to open/close the doors of heaven and hell and power over peace and war on earth. The keys were held by Pluto, “god of hell”, and chief deities of Asia minor, Janus, and Cybele. That this title [Pope] is unique in the world. 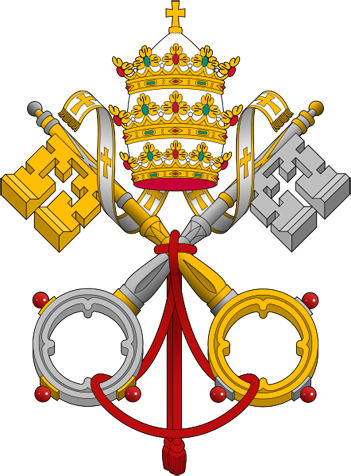 While Protestant churches do not have popes, they do have governing councils and stated creeds. With these, they frequently claim the right to dictate the theology of their members, what is right and what is wrong, and reject new light that contradicts their established beliefs or traditions. While Protestant churches do not have popes, they do have governing councils, district synods, church boards and stated creeds. With these, they frequently claim the right to dictate the theology of their members, what is right and what is wrong, and reject new light that contradicts their established beliefs or traditions. 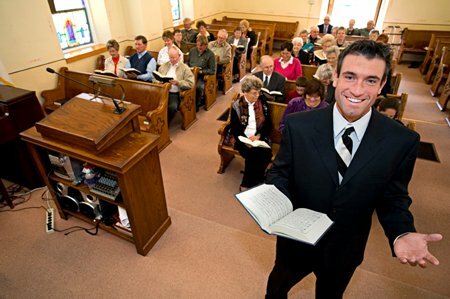 Books, papers and websites which promote truth contradictory to the established position are denounced and those who challenge these doctrines on the basis of Scripture alone, are frequently disciplined or disfellowshipped. Thus, the spirit of the Dictatus Papae is alive and well throughout all organized religion – even when those individual churches themselves denounce the errors and abuses of Catholicism. The close relationship between the Roman Catholic Church and the other denominations that constitute organized Christianity are presented in the most striking terms in Revelation 17. In Scripture, a woman is used to symbolize a church [apostate], or an ekklesia [Yahuwah's faithful]. Just as the pure woman of Revelation 12:1 is used to symbolize the true ekklesia, a fallen ekklesia/church is symbolized by a harlot. Revelation 17 provides a description of the Roman Catholic Church in which she is described as the mother of harlots. And there came one of the seven angels which had the seven vials, and talked with me, saying unto me, Come hither; I will shew unto thee the judgment of the great whore that sitteth upon many waters: With whom the kings of the earth have committed fornication . . . The word “catholic” means worldwide or universal. 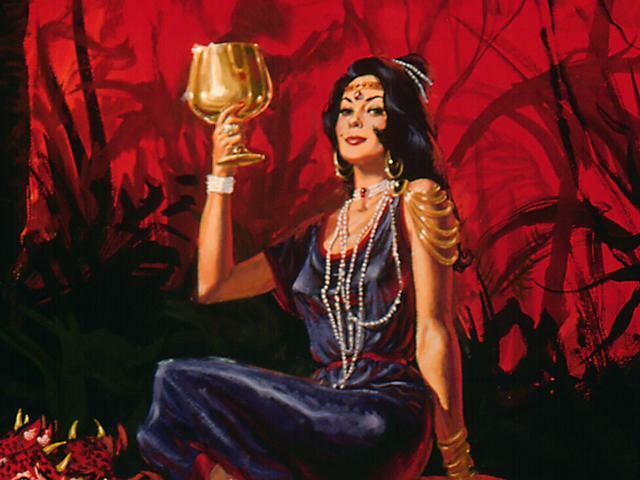 As the various Protestant denominations that comprise organized religion have followed so closely in the steps of the Roman Catholic Church, they are indeed harlots themselves as well as daughters of Babylon. The logical extension of the Dictatus Papae was instituted by Pope Innocent III and it will live in infamy through all eternity as one of the most evil scourges ever visited upon men in the name of Yahuwah. It was the establishment of the Holy Office of the Inquisition. The horrors of the Inquisition are so grotesque that no one likes to dwell on them. However, all should be aware of them, because the Catholic Church, due to her doctrine that the pope is infallible and the Church is inerrant, has never acknowledged that she sinned in its massacre of untold millions for their faith. Indeed, because these policies have never been changed and can not be changed without admitting their error, it is the policy of the Roman Catholic Church to this very day. Pope Francis, as “Defender of the Faith,” likewise upholds these doctrines and, had he but the power, could kill whomever he wished that did not agree with Catholic doctrine. WLC believes that Francis is the “eighth king” of Revelation 17. As such, he is the last pope. It is under his pontificate that the closing scenes of earth’s history will take place. All should acquaint themselves with this prophecy, for all shall be affected by the actions of the final pope. Revelation 13 is a clear warning of the power soon to be exercised by the papacy against all whose consciences demand obedience to the law of Yah above the traditions of men as codified by Catholic cannon law. Pope Francis is unique in the history of the papacy: he is the very first pope that is also a Jesuit. The Society of Jesus, or, the Jesuits, as they are more commonly known, was established in 1534 for the express purpose of stamping out all dissenters to the Roman Catholic Church. It is still their primary motive for existence. 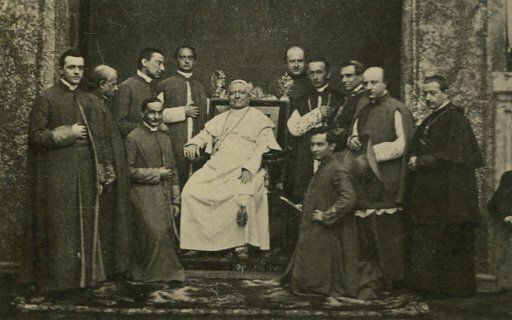 As such, Jesuits have spread across the world, as teachers in universities, missionaries to pagans, emissaries to governments and advisors to kings, taking with them their political agenda as the pope’s private army. Every priest who joins the Jesuit order must take an oath that is binding in perpetuity on pain of death. This horrific oath, straight from the bowels of hell, should stun everyone who reads it, for it reveals the truth of the papacy behind the righteous façade. To read it, please see "Who Are The Jesuits?" As it is the boast of Rome that she never changes, every single one of Gregory VIIs dictates are still held to be justified and true. Furthermore, the resulting torture and murder of all who, in conviction of conscience, disagree with Rome (as seen in the Inquisition established by Innocent III) is still held to be justifiable. All who put their trust in Yahuwah will be preserved from this evil power. Even if some are called upon to lay down their lives as did the martyrs in ages past, Yahuwah will give them the strength to endure and in the great morning of the resurrection, they will be raised up, never more to hunger, thirst, suffer or mourn. Revelation provides a promise for those of the final generation who will be called to stand faithful to Heaven in the very face of hell: “He that leadeth into captivity shall go into captivity: he that killeth with the sword must be killed with the sword. Here is the patience and the faith of the saints.” (Revelation 13:10, KJV) Yahuwah’s promises are sure and in the final judgment, earthly powers that have waged war against Yahuwah in the person of His saints, will receive a just punishment. Today, develop the personal relationship with Yahuwah that will give you the faith and the confidence to cling to His promises, though the Heavens fall. 3 Alexander Hislop, The Two Babylons, p. 207. 4 Encyclopædia Britannica, “The Medieval Papacy,” http://www.britannica.com/EBchecked/topic/441722/papacy/214717/The-medieval-papacy#ref704187. 7 Will Durant; The Story of Civilization, Vol. IV (Simon and Schuster, 1950); as cited in Dave Hunt, A Woman Rides the Beast.